Ever since starting RSHO (Real Scientific Hemp Oil) hemp oil, Lillyann Baker has miraculously been seizure free for nearly two years. Going back to school doesn’t mean much to some kids. After all, it’s the same thing every year. But four three-year-old Lillyann Baker, it means everything. As an infant, the now toddler suffered a traumatic head injury. As a result, she had to be put in a medically-induced coma. Each day, she had multiple seizures, and none of her medications seemed to help. But ever since starting RSHO (Real Scientific Hemp Oil) hemp oil, she’s miraculously been seizure-free for nearly two years. And now, she’s thriving and is even enjoying her first year of pre-K.
Lillyann Baker is now a happy, thriving three-year-old girl. And she’s been seizure-free for nearly two years. But the road to get her where she is now was a bumpy one. After suffering a traumatic head injury, Lillyann’s life made a turn for the worst. Not only did she have to be put in a medically-induced coma, but she also began having multiple seizures every single day. None of her medications that her doctor prescribed were helping, either. Her doctor even suggested adding in a third, but mother Cassandra Stefan knew they had to try something else. And so she began treating her daughter with CBD hemp oil. I have had many people, mainly on social media saying that I’m a disgrace as a parent, that I’m treating her in a way that she should be. Despite the opinions of others, the medication proved to be effective. In addition to no longer having seizures, she is also doing things that doctors said she would never do. Thanks to hemp oil, Lillyann was able to start her first day of pre-K in Dundalk, Maryland this year. For her, it means so much more than just going back to school. It means she gets to live again. She’s so much more alert, she’s awake, and she’s excited to be here. It’s night and day. I see her coming back to the child we know she can be. She’s going to walk down the aisle to her handsome man, just like her sister will. 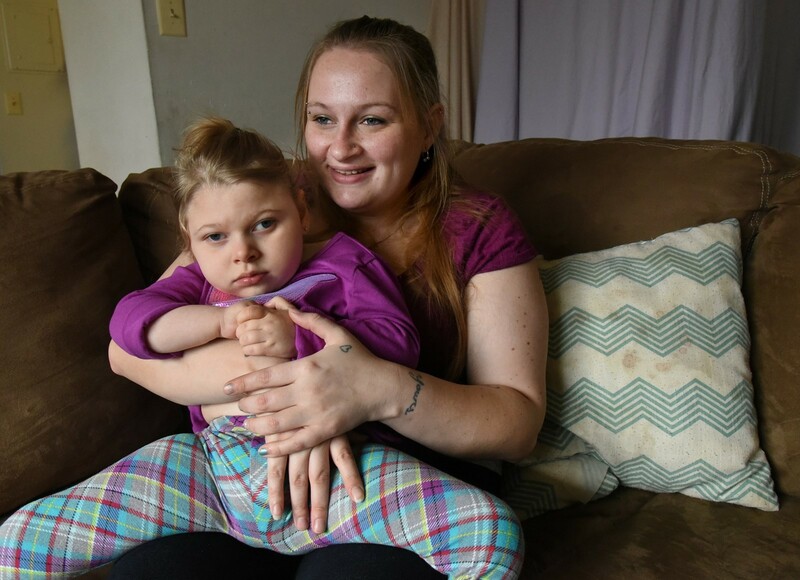 Earlier this month, Stefan mentioned to WJZ that she hopes her daughter’s story will inspire other parents to be more open-minded when it comes to medical marijuana. Especially if it means changing their children’s lives for the better, just like it did for Lillyann.